Brad Moore: We are not a shell! 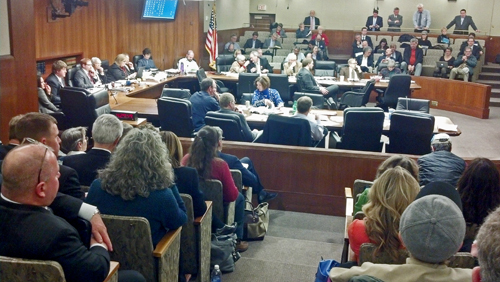 On the afternoon of February 11th, Minn. House Rep. and Chair Jean Wagenius convened a hearing before the Environment, Natural Resources, and Agriculture Finance Committee on the topic of the “financial assurances” required of PolyMet Mining Corp./Inc. as a condition precedent to receiving a permit to mine. 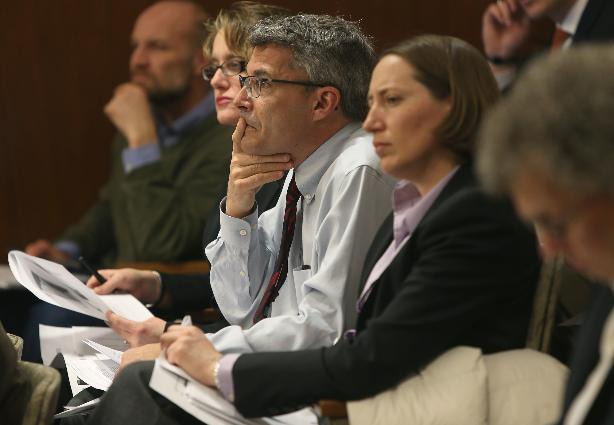 As the linked story in the Strib recounts, the hearing was packed and rather testy. If [state regulators] ask PolyMet to post too large a financial guarantee, the project may not attract the next $450 million in investment PolyMet is seeking. If they ask for too little, then taxpayers [not only, even especially, taxpayers, as we’ll see in a moment] someday may have to pay the price of polluting one of the most beautiful [and environmentally fragile] corners of the state. [ ] They [the DNR] said the plans must be adequate enough to protect the state, regardless of the financial impact on the company. “We assume PolyMet has done its homework on its profitability and the protections that need to be in place before mining,” Richards said. Which is interesting, of course, since in its most recent financial statement for its fiscal year ended January 31, 2013 (in other words, it’s a year old), PolyMet lists less than $10 million in cash or cash equivalents. That appears to be its approximate annual burn rate without mine operations. Financial assurances have a couple of important components: assurance of land reclamation after mining and covering contingencies for mine maintenance and pollution. At the hearing, figures of $200 million for each item was mentioned. PolyMet is presently a little, um, short, a fact that committee vice-chair Rep. Andrew Falk noted, which prompted EVP Brad Moore to say — rather huffily — that PolyMet is not a shell company. Well, it sure ain’t a mining company, either. One of the more ironic moments at the hearing to me was when Director Richards endorsed heartily reverse osmosis as a method of water cleanup. Why, I have a reverse osmosis system for drinking water in my own house! he says. Swell. One of the guys in charge of whether PolyMet gets it good enough, already can’t drink the water out of his tap. Maybe the aquatic invertebrates and the little fish in the Embarrass and Partridge Rivers can get their own personal reverse osmosis systems, too! Problem solved. And just think of the business potential for some ambitious entrepreneurs! Ron Sternal, a retired Wall Street executive from St. Louis Park, urged the DNR to hire “sharks” to help them negotiate with the mining industry, and that the time to do it is now while the state still has leverage. Get what we need in cash now was the refrain from several witnesses. And get a guaranty from PolyMet’s principal shareholder while you’re at it, added several others (including me). Let’s be direct: PolyMet is Glencore’s tame rabbit. It’s an odds-on favorite to be acquired and run as a subsidiary if the mine is ago. And be sure to get a cushion, too. Once a permit to mine is issued, we’ll have to go to hell and back to get it revoked if there’s a problem. The DNR seems to be a complete ingenue about this. But perhaps the most troublesome part of hearing was what was not discussed. In addition to massive contingent liability to the state, to which financial assurances are addressed, a PolyMet copper sulfide mine could cause massive damage to the environment, to wild rice and other aquatic vegetation, to aquatic invertebrates, to the little fish that eat those invertebrates and the big fish that eat the little fish, to waterfowl, to the martins, and muskrats and beaver, to riparian landowners, to people who depend on the watersheds for drinking water and who don’t have — at least yet — their own spiffy reverse osmosis water filtration systems: in other words, all of the flora and fauna in the Embarrass and Partridge River watersheds. What protection exists for these interests? I regret to say, my friends, none. They could be wiped out in a PolyMet bankruptcy, or after the company is liquidated after the mine closes, in a moment, in the twinkling of an eye, to quote the prophet Isaiah. The coal industry supplier and chemical company Freedom Industries is a recent and instructive example of how easy it is to shed environmental liability to the public. This is the true meaning of the term “junior mining company.” Or, as Rep. Falk called it, a shell.